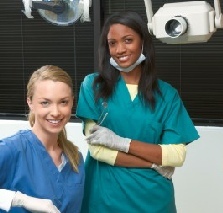 What were your reasons for becoming a dentist? Are you still inspired to be, do and have what you imagined once was your destiny and now is your history? Are you grateful for seeing patients and having the practice you have? Are you blaming the market, the economy and legislation for not being fulfilled in life? Chances are that if you have what you wanted in life but still cannot find fulfilment, it’s because you are ungrateful. Not having a grateful life means that you are weighed down by emotional baggage and consequently are not being as effective and efficient as you could be. When outer circumstances cause you to close off and be resentful, ingratitude is a feeling that is difficult to deal with and can show on our faces, in our mannerisms and in our health. The tragedies, deaths, divorces, turmoil’s in life are going to happen. However, it’s not what happens to you, but how you respond that is the most important thing. One can react, blame others and not be responsible, or alternatively remember that you have the choice to respond and take responsibility. The latter is the way of the Master. In my experience, it is wise to leave the practice being grateful for the day (irrespective of the outcome) before you come home. That way you don’t carry baggage from your work life into your personal life. You are in a better position to look at the situation the next day with a new perspective. With gusto and with a fresh approach. Easier said than done, but it is possible! What I am grateful for is the opportunity to serve. Creating transformation in their lives of individuals, dentists or group transformations when leading workshops. That for me is love in action and I am gratitude for having this opportunity.